After traveling for nearly 8 months, the day to day grind starts to take a toll on you. Some places you visit are perfect, other places not so much. At times everything seems against you and fighting through these challenges end up shaping your trip in an important way. Kenya was one of those places for us. After some incredible experiences like hiking Mount Kenya and going on a safari with family in Masai Mara and Amboseli, we thought what could be better than a month at the coast? We would catch up on some of our blogging and have some valuable time to relax. Just days after arriving in Mombasa we were welcomed to the Kenyan coast with locals breaking into our locker that was provided by the hostel, and stealing our two laptops among some other things. Having things stolen always hits you personally, and this one hit us hard. 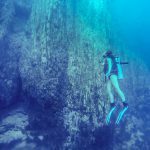 How would we even be able to write and maintain our blog? Do research? Keeping in touch with family? After a few days of mourning (i.e. the Mombasa police doing nothing), we decided to move on. Just a mere 5 days later when we thought nothing could possibly get worse I contracted malaria. While malaria can be life-threatening and surely is not a joke, the ease of testing and 24-hour clinics in Kenya made treatment extremely easy. After a few days with extreme flu-like symptoms, high fever, chills, stomach pains and migraines; the medicine kicked in and the road to recovery was near. Luckily the malaria was a common strain, one that is easily resolved with medication with no chance of a recurring incident in the future. Unluckily, laptops in Kenya are extremely overpriced, and usually outdated models 3 or 4 years behind with low-performance specs. We decided to change our travel plans for 2017 and rather than head to India and Nepal, we chose to go to New Zealand and Australia, with a stopover back home in the U.S. to restock on some fresh gear and new electronics needed to move forward in 2017. We often look back at our time on the Kenya coast as a major turning point, and while these negative things impacted us in the short term, they surely changed our outlook on 2017 and beyond. 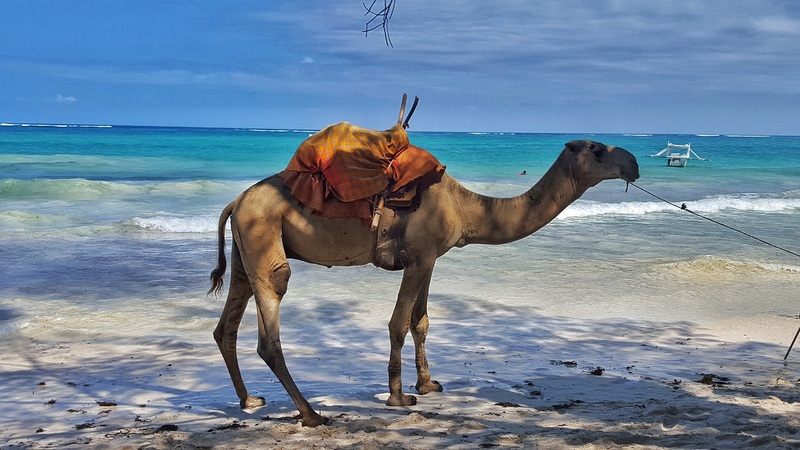 Through some difficulties and initial hesitance to continue travel in Kenya, we ventured around the coastline for two weeks to take in what it offered. White sandy beaches dot this coastline from the Tanzania border in the south up to Lamu, an old slave port on the north coast. The ease of travel makes two or three stops on the coast a definite possibility. After leaving Mombasa, we explored the best of the Kenyan coastline. Kenya’s second largest city with 1.2 million inhabitants leaves one to think this should be a place only as a quick pass through, ready to bury your feet in the sand while enjoying a local Dawa cocktail. 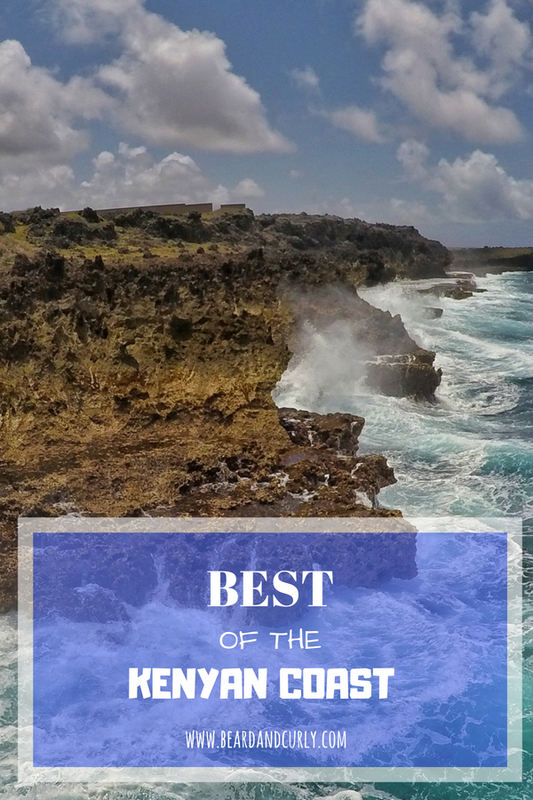 However, with its rich history, ethnic influences, and the surprisingly stunning beaches right in city limits, there are several reasons to stay for a few days. Don’t miss the Jesus Fort and the Spice Market, both within the Old Town. 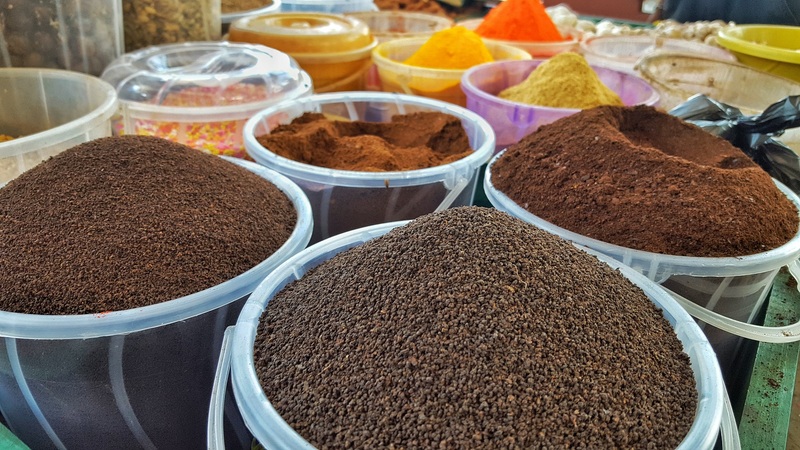 Walk through mazes of Indian and Arabic vendors selling an assortment of crafts, fabrics, clothing, and sandals, but the highlight here is the fresh spices. Don’t get haggled into the whole spiel and reasons as to why their spices are special and cost more. Most spices (unless exotic) should cost no more than 200 Ksh ($2) for 50 grams. Mombasa has three beaches which are surprisingly within the city limits. Each have white sand so fine it feels like you are walking on flour, with nice blue and turquoise waters. 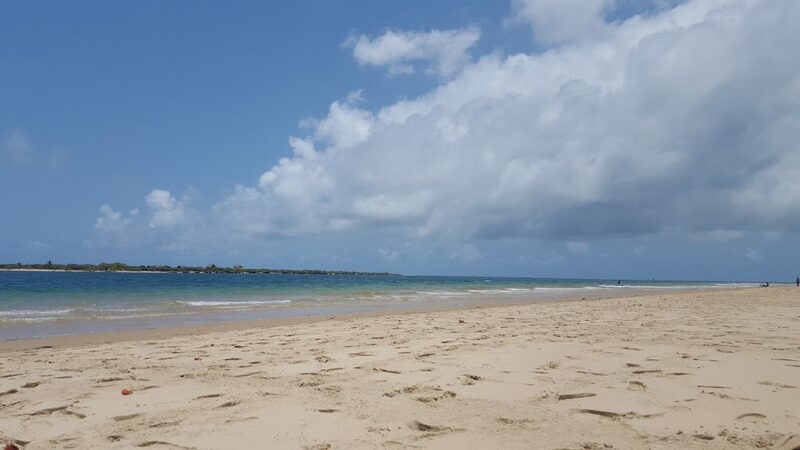 Mombasa Beach, the smallest of the three is intimate and home to a couple of hotels and beachside restaurants, otherwise this quiet beach is good for a relaxing day. Nyali Beach, the best in Mombasa and one of the best in Kenya is a very long beach that is great for a long stroll or jog. The fine white sand and turquoise water here is surrounded by a more lively and upbeat feel. Shelley Beach, South of Mombasa Island and accessible by ferry followed b boda-boda or rickshaw, is less popular due to its location. 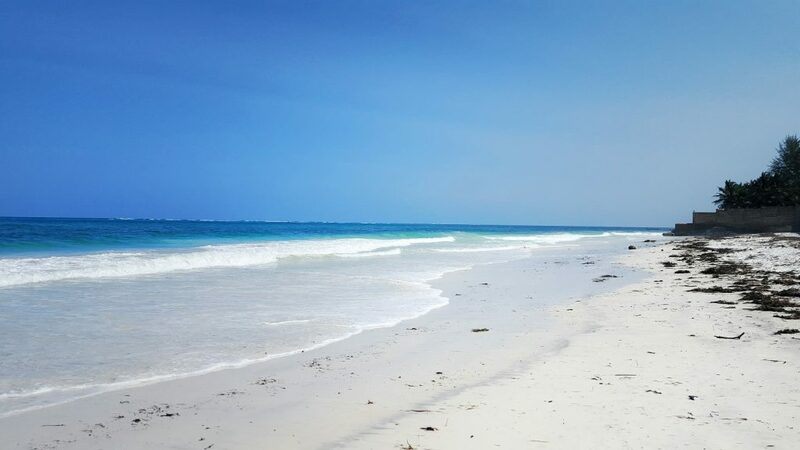 However, it also has excellent sand and beautiful turquoise waters, and less crowded than Nyali Beach. The area around Nehru Street and Abdel Nasser Street is the spice market in Mombasa. 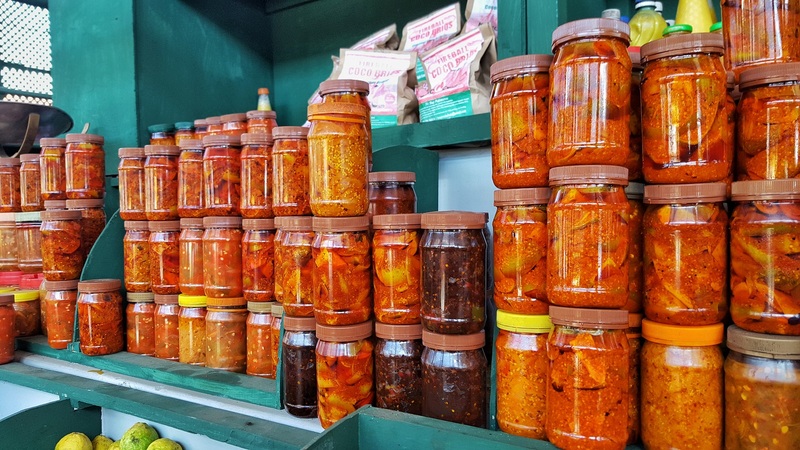 There also is a covered market called Macknon Market with lots of fresh produce, chutneys, atchar, and of course, spices. Take a stroll around the area, have a chai masala at one of the cafes, and stop by Habshi at stall 25 within Macknon Market for great quality spices and great prices. Mombasa’s most popular tourist destination sits on the edge of the water in Old Town. This fortress built by the Portuguese stands here with distant memories of the years of slavery. The meter-thick walls are impressive overlooking the blue Indian Ocean. Eat: Try Tarboush Cafe for great African meals with blends of Indian and Arabic or go to Singh Restaurant for some excellent Indian curries. Budget Stay: Pure Aroma House has double rooms for $13 USD. Mid-Range Stay: Jacyjoka Apartments Nyali has studio apartments and a pool for $60. A short drive south of Mombasa is one of the most popular beaches in Kenya and the main attraction in the South Coast. Many come to the Kenyan Coast and only pick one place to visit, and this usually tops that list. With close proximity to Mombasa and filled with many high-end and mid-range hotels, you have an assortment of options for your stay. The beach has many vendors and “beach boys” selling activities, crafts, other goods, as well as the occasional dancing show. Also check out nearby Tiwi Beach. 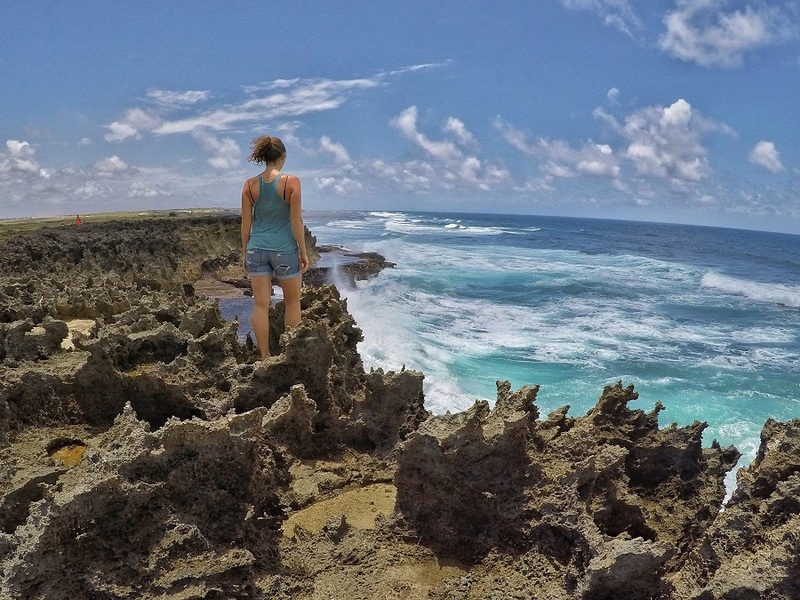 Budget Stay: Leto Cottages is run down, but the cheapest option right on the beach for $16 USD. Mid-Range Stay: Coral Beach Resort has studio’s and one bedroom apartments for $52 USD. Kalifi is one of the top destinations along the Kenyan coast. One hour and a half north of Mombasa, here you will find long stretches of white sand beaches, along with the scenic Kalifi Creek. There are several excursions all within a one-hour drive, making Kalifi an excellent choice for your stay while exploring the area. 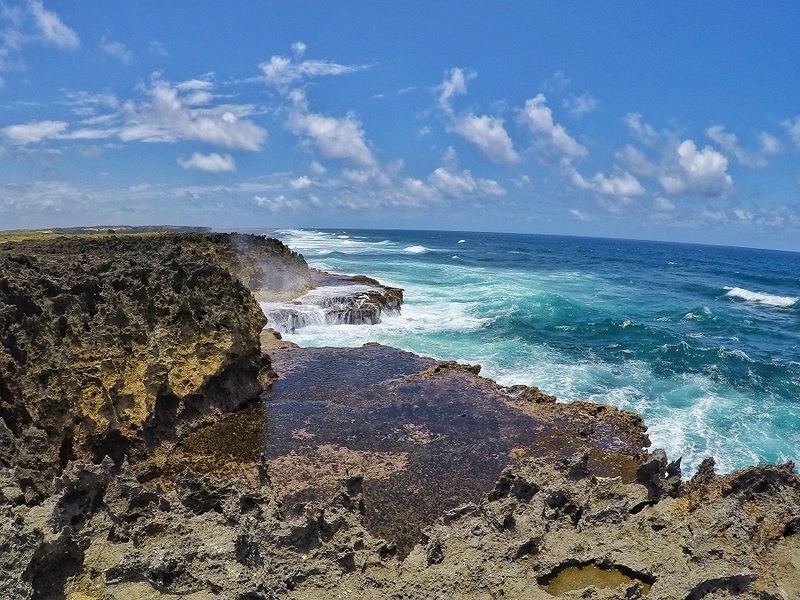 Vuma Cliffs – With impressive views down the coastline, massive waves crash just beneath you. The views here are stunning and unlike most of the flat sandy beaches along the majority of the coast. Watamu – This small town North of Kalifi by one hour has an exceptional beach, worthy of a day trip. This section of the coastline is the prettiest and is surely the most dramatic. 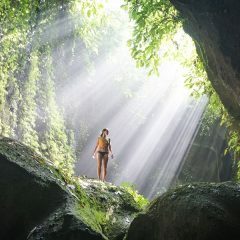 Gede Ruins – The mystery of Gede, with no records of existence in any historical records, stands in the forests where historical monuments of houses, palaces, and mosques can be seen today. 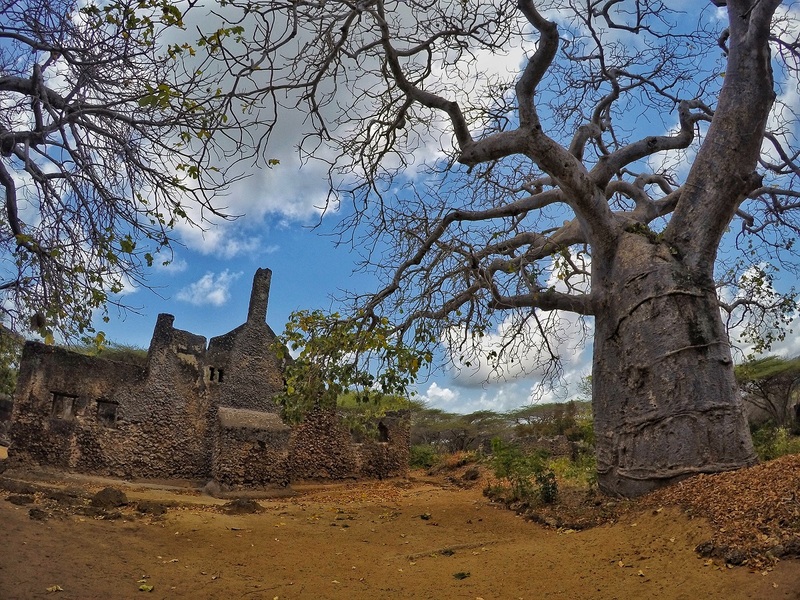 The ruins are not far from Watamu. Turtle Bay – Don’t come at high tide where the beach is littered with garbage, and come during the peak season for turtles coming up on to the beach between April and October. Budget Stay: Distant Relatives Backpackers and Eco Lodge, camping is $6, dorms for $13, private rooms for $30. Mid-Range Stay: Mnarani Club & Spa is a beautiful resort with rooms from $100. 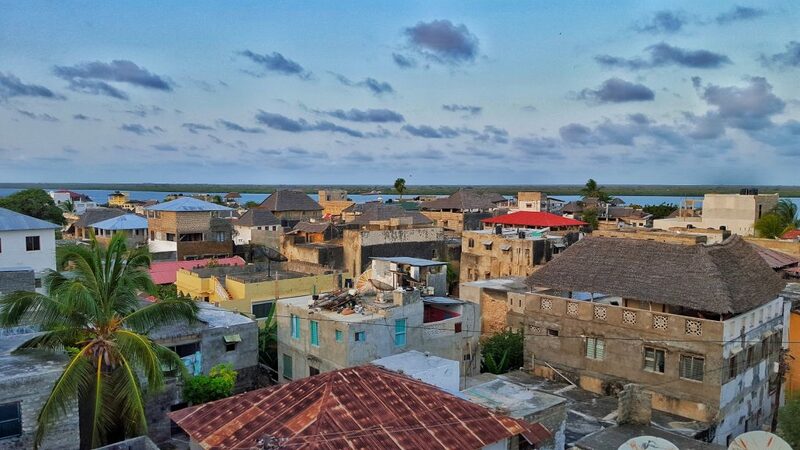 This large town is the last stop before heading further north into military control and road checkpoints (little is north except Lamu). 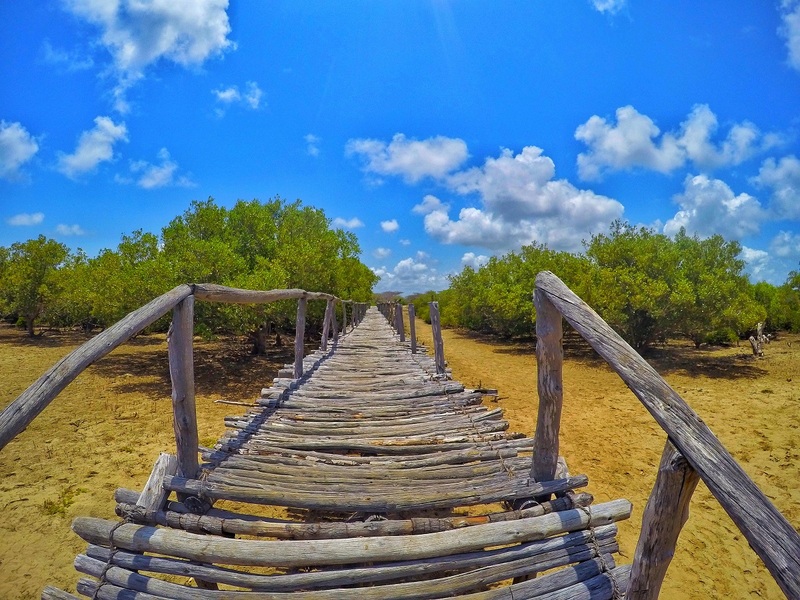 Known as the Little Italy of Kenya, Malindi has a very large beach that is average at best, but this town has excellent character and cuisine. The main beach pier and colorful buoy’s at the beach are a nice place for sunset. Influence of Italians can be seen all over, with advertisements written in Italian, gelato shops at the corner, and your selection of pizza joints. It is a good stop before heading up to Lamu. Eat: Baobab is an excellent choice with superb African cuisine with dishes from $5. Budget Stay: Rafiki Hotel is a new, clean, and very affordable hotel. With shared bath, singles are $7, doubles are $10. With ensuite, singles are $13, doubles are $20. Mid-Range Stay: Mawimbi Lodge Hotel has beachside rooms for $50. This Unesco World Heritage city has narrow streets and passageways connecting this small town. Donkeys haul goods instead of cars, and vendors buzz to life. Children run around the small alleyways playing and singing while cats mark their territory at each front stoop. Lamu is a Muslim town and comes with its traditions, its flavorful food, and excellent fresh juice bars. While Lamu is the furthest of any beach destination, it comes with the most personality, and for many who visit the entire coastline, they often have a hard time NOT deciding that Lamu was their favorite spot. Kidnappings in 2012 of a British Couple in Lamu and a French woman in Manda Island hit Lamu hard on the international tourist scene. 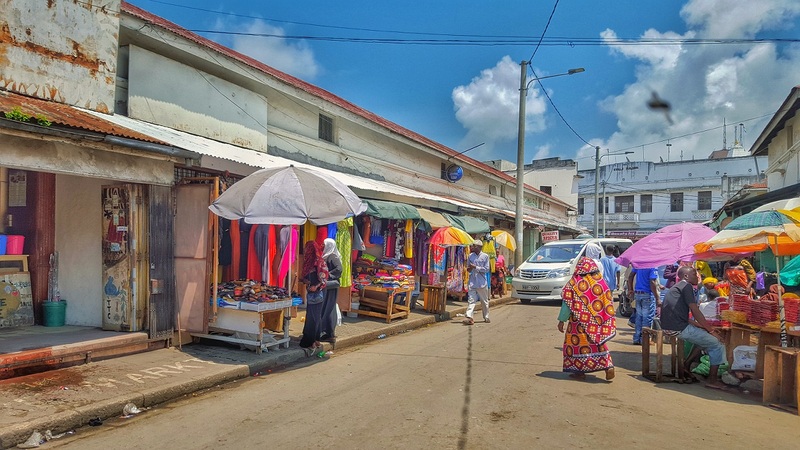 While tourism has yet to come back to its pre-kidnapping levels, there has been an increased security presence in the region, multiple road checkpoints, and there have been no instances of terrorism in Lamu since. While there is always a risk considering the location is close to Somalia, we felt safe during our stay in Lamu and think it will likely get back on the tourist scene (albeit government warnings from the US and UK). Several bus companies depart daily with different departure times, typically in the morning. 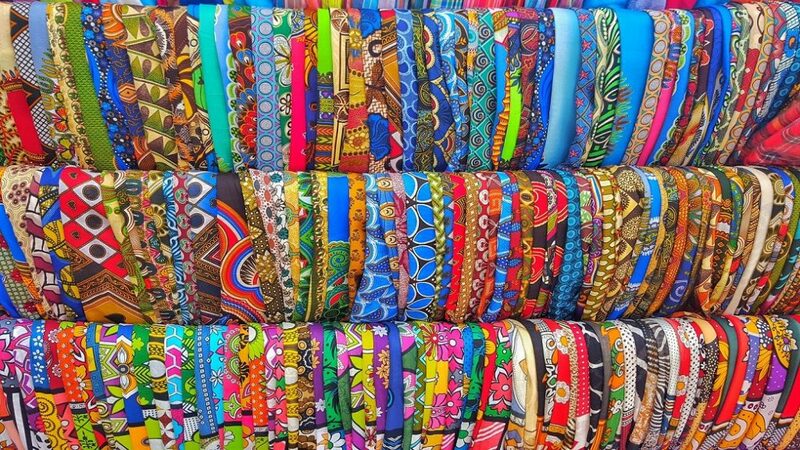 They range in price from 800 to 1,100 Ksh from Mombasa, or 700 to 1,000 Ksh from Malindi. Take the Tawakal bus line, which is the priciest but has the “newest” buses. You will pass an abundance of military checkpoints on the way. You will have to present your passport and sign a form so the government is aware of who is going to Lamu. Once you arrive at the Mokowe Ferry Terminal, you then can choose between the 20-minute public ferry (waits for 50 passengers, 100 Ksh) or the much faster 5-minute speedboat (150 Ksh) to Lamu Town. Sheli Beach – declared by some as the best beach in Kenya. 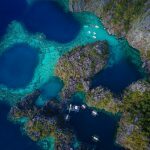 This small village is dotted with luxury hotels. Just around the corner is the start to a stunning 13km long beach. Sand dunes rise up behind the beach. Views across the channel are to the picturesque Manda Island. Past the Sand Castle Mansion, this desolate beach can be enjoyed for hours with no one in sight. Walk along the waterfront for 40 minutes from Lamu town or take a speedboat for 100-150 Ksh to get to Sheli. 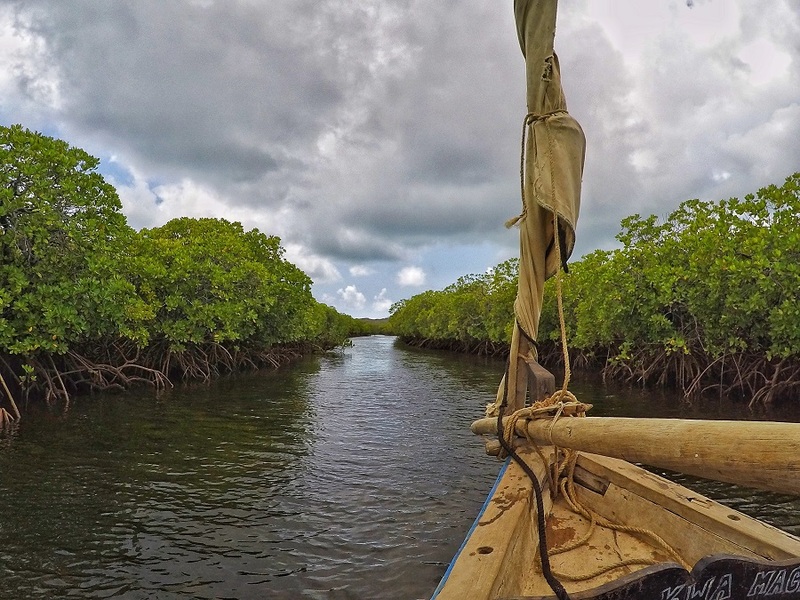 Takwa Ruins – Take a traditional dhow trip to Takwa Ruins, taking you back in time through these forested ocean mangroves. The ruins sit in the back of small channels that maze through the mangroves. This village from the 1600’s thrived due to its hidden presence. Local fisherman traded with Arabs for years. Remains are in good condition from typical dwellings, the Mosque, burial sites and city walls. Giant baobab trees dot their properties, all just a short stroll from their scenic beachfront access. Sail back to Manda Beach, where you enjoy a fresh grilled fish lunch. Cost can range from 1,500 to 3,000 Ksh per person. Eat: Tamarind Treehouse for some excellent local cuisine, food already prepared with costs between 50 and 150 Ksh or the tourist menu where food is made to order starting from 400 Ksh. Also, try the Chicken Tikka from the Mangrove Center for 250 Ksh. Budget Stay: JamboHouse is the best place to stay on a budget in Lamu town has rooms including breakfast from $19. Arnold is also an excellent host with great stories and recommendations. Mid-Range Stay: Subira House is an excellent option in Lamu Town with rooms for $55. Msafini Hotel has ocean view rooms for $50 if you prefer to stay at Sheli Beach. High-End Stay: For a luxury stay, The Majlis Resort is located across from Sheli Beach on the stunning Manda Island. The Kenya coast and all of Kenya is prone to theft. Be sure to care for your belongings, and always leave valuables with the front reception, never in the room or even in a locker. No matter how safe one says it is, it is always best to be cautious. In terms of national security and terrorism in Kenya, there is the presence of Al Shabeeb. Since the mall attacks in Nairobi in 2013, Kenya has beefed up security and the military has responded well to Al Shabeeb. There were 3 kidnappings in 2012 in Lamu of foreigners who were brought to Somalia. Since then, there has been a shift in Al Shabeeb targeting police posts mostly in the northeast of Kenya along the Somalia border. Currently, it is pretty safe, just be aware of your surroundings and stay away from the Somalia border. Obviously, one event can change stances on terrorism. Be sure to check the most current status with your country’s travel guidance and local news reports.